Weird Fish is a successful UK casualwear clothing company, first launched in Cheltenham in 1993. Best known for its wide range of artist designed t-shirts and Macaroni sweatshirts, the company opened its first store in 1999 and began trading online in 2005. The company had a strategy in place to recover revenue from abandoned baskets online, but were not happy with the incumbent solution. It allowed them no control over email content, making it difficult to make changes quickly. Weird Fish was introduced to triggered messaging experts, Fresh Relevance, and its cart abandonment solution via the website of its email service provider Dotmailer. 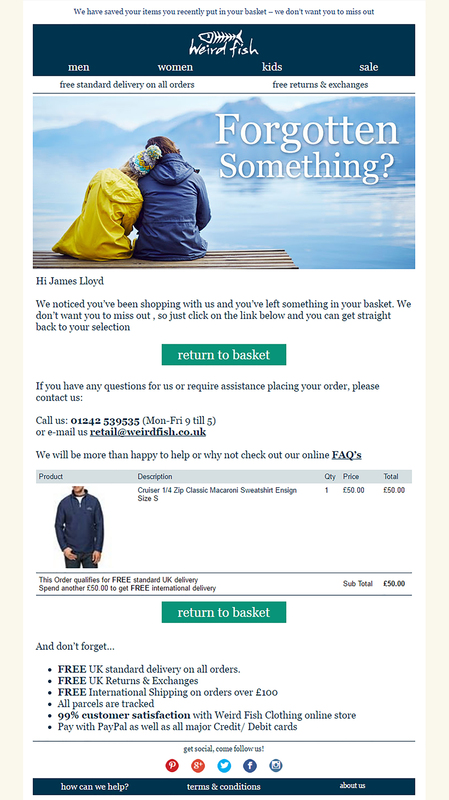 Today, if a customer visits the Weird Fish website and ends the session before making a purchase, an email is automatically sent to them 30 minutes later, displaying the items remaining in their basket and urging them to complete the checkout. 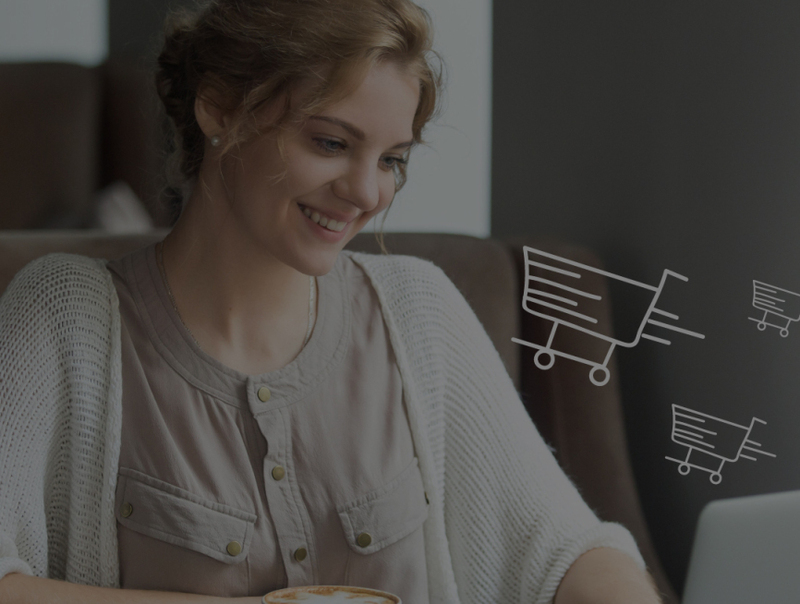 To assess the performance of its new cart abandonment strategy, the team conducted an A/B test, whereby 50% of customers who abandoned their carts received a triggered email and 50% were not sent a message. Looking to the future, the company is looking to build on the success of its cart abandonment strategy with the addition to browse abandonment to help drive online revenues even higher.